Get your free download of Sun-Maid Raisins and Dried Fruits - for your iPhone, iPad or PDF file. Their 100th Anniversary Book One was hundred years in the making. 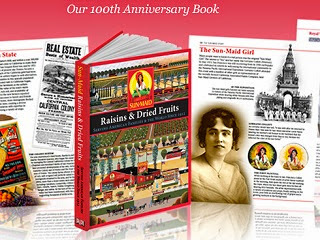 Sun-Maid's century of experience answers all your questions on raisins and dried fruits — their unique characteristics, their history, and how they are grown, processed, marketed, and enjoyed throughout the world.